This past month has been hectic, but we are finally back with a focus on Lacuna Passage. Some of you had concerns about TIMEframe being a distraction for us last month so this month we want to talk about all the tangible ways that it has positively impacted our continued development of Lacuna Passage. First and foremost has been the refinement of our dynamic music system, Song Seed. We have been building Song Seed over several iterations in the last year or so specifically for use in Lacuna Passage. The demo we previewed at PAX East was the first public implementation of our dynamic soundtrack and it worked really well for us, but there was still a lot that needed to be done. We realized a long time ago that this system would be very beneficial for other developers as well, so after PAX East we began working harder on the public version which worked well with the timing of our updated release of TIMEframe. Music is a huge part of TIMEframe so we were able to use it as a real-world test of the system. In fact, in addition to our own implementation in TIMEframe, we have just opened up a beta test of the Song Seed Unity plugin. So if you are a Unity developer interested in helping us improve this tech that will be a big part of Lacuna Passage please let us know (and check out the example video above). Soon after testing we will be releasing the plugin on the Unity Asset Store at a modest price. The proceeds from this will all be funneled straight into Lacuna Passage development as well. Another benefit of working on TIMEframe that cannot be stressed enough has been learning the ins and outs of Steam integration. Lacuna Passage has always been our priority, but it has also been our first foray into commercial game development. We had no experience with integrating with Steam until now. After working on TIMEframe we now have a much firmer grasp on what that integration requires. Store page setup, game package installation, authentication, achievements, trading cards, cloud saves, DLC… the list goes on and on. We have used TIMEframe as our test bed for these features and this has given us invaluable experience as we now implement many of these features in Lacuna Passage. We are now looking forward to a tentative release date of June 30th for TIMEframe which will give us even more experience in running an active product and managing customer relations. Once again, all the proceeds will directly benefit Lacuna Passage development. (And as a reminder, all Lacuna Passage Kickstarter backers will be receiving a free copy of the game and the original soundtrack). Last but not least, we have been experimenting with new features that have been added to Unity in versions 4.6 through 5.0. We have not updated Lacuna Passage past 4.6.2, but with our work on TIMEframe we have had a chance to see how these more recent updates might affect Lacuna Passage. The new user interface features in Unity might drastically improve the way that we handle the rendering of the datapad for example. There have also been several performance enhancing changes that could positively impact our open-world memory management. We have been able to evaluate these new features in TIMEframe on a smaller scale without any disruption to our Lacuna Passage project management. It would have taken us orders of magnitude more time to even test these options in Lacuna Passage itself. These are only a few of the most direct benefits we have experienced while working on TIMEframe, and as we move forward into this next chapter of Lacuna Passage development we feel much more confident in our ability to deliver on our original promises. Game development is not a straight path. There will always be bumps and detours, but we work extremely hard to ensure that every decision we make benefits our ultimate goal of delivering the best Mars exploration narrative experience that we possibly can. Over the next few weeks we will have more regular updates with the art and design of Lacuna Passage. This tutorial demonstrates a simple method for loading text files from the Resources folder that we are using in our game Lacuna Passage. In this case the resulting text strings can be parsed and used for displaying subtitles or captions timed with your game dialogue. You can even trigger other events to coincide precisely with the audio. Lacuna Passage - Devlog #3 - What the heck is Lacuna Passage? Over the last couple of weeks I went into some detailed breakdowns of the terrain in my upcoming game Lacuna Passage. But I realized that I only briefly touched on what Lacuna Passage as a game will actually be. So, this week I’m going to take some time to do a breakdown what the game is really all about. You are Jessica Rainer, the only survivor of the crashed Heracles Mars expedition, sent to investigate the mysterious disappearance of the very first Mars expedition, Hermes. Exploration. Lacuna Passage is an open-world adventure. 25 square miles of treacherous Martian terrain littered with clues about the disappearance of the Hermes Mars Expedition. Investigation. Photograph and document your journey. 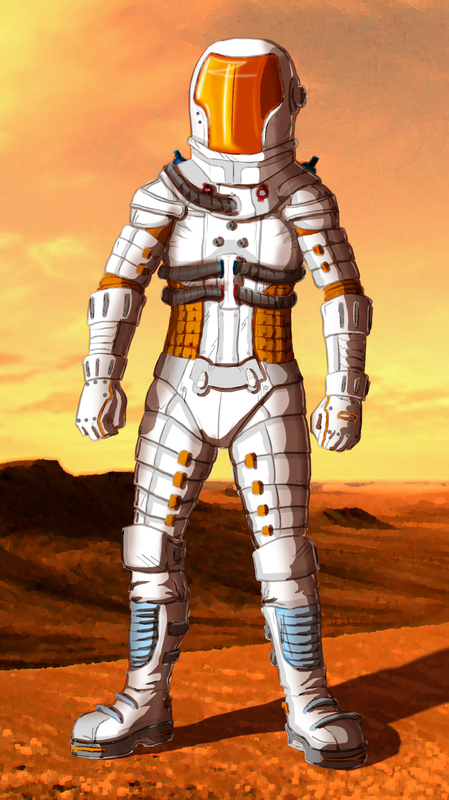 Follow the clues and piece together your own explanation to the events that unfolded on the red planet. Perhaps you can even find a way home. Share your discoveries, photo journals, and theories with other players online. Navigation. Pay close attention to your instruments and keep track of your surroundings. The game will not hold your hand with arbitrary objective markers and many key locations will need to be manually recorded for reference. Careless explorers are sure to get themselves lost. Survival. Food, water, and oxygen are in short supply on the planet’s surface. Even sleep is important in maintaining your stamina (and your sanity). Depicting a realistic passing of time is also important to the general theme of survival. Essentially the player is faced with defining their own goals. You can try to see how many days you can survive alone on Mars or you can try to see how fast you can solve the mysteries of the planet. Death in itself is not necessarily a fail condition in the game. Depending on your experience it may be a perfectly suitable ending to the story you have crafted for Jessica Rainer. Of course, all of this conceptual content would be nothing without some substantial prototyping. Over the last few months I have been working hard on some crucial systems that will stand as the foundation for the experience inherent to Lacuna Passage. There is a full day/night cycle with some beautiful atmospheric effects that emphasize the scale and the emptiness of the planet. 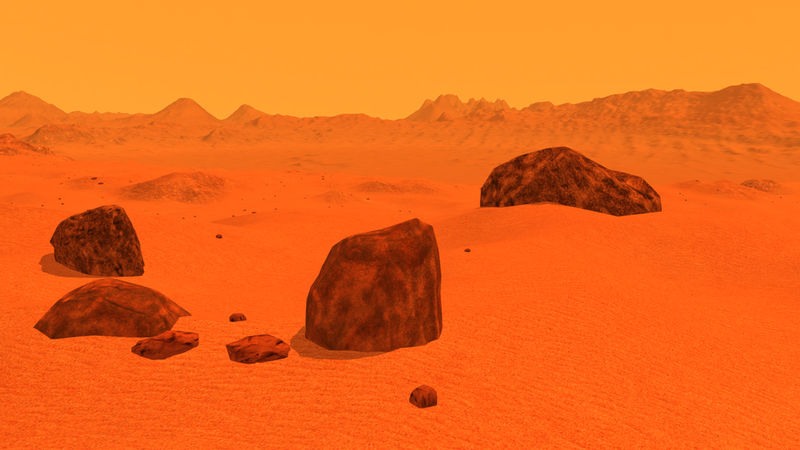 We started with the base Unistorm Unity package and heavily modified it to fit the atmosphere of Mars. Those space suits are heavy, and the goal of the camera is to help the player feel some of that weight. Especially as your stamina begins to fade and movement becomes more labored. We already have some great camera movement in the prototype courtesy of a modified Ultimate FPS Camera Unity package. Every inch of the environment is lifted directly from real Mars terrain data provided by NASA satellites. Some of the features are composited together and scaled down to provide the player with more varied landscapes to explore. Find about more about the methods used for the terrain in our first two devlog posts. Taking “screenshots” is directly incorporated into the story via the main character’s desire to investigate the disappearance of the Hermes crew with photography. Sometimes you will need to examine your photographs to gain clues about where to explore next. The goal here is to also encourage sharing stories online and collaborating on theories to some of the game’s more obtuse clues by having all in-game photos also saved out to the player’s harddrive. I'm excited with how far the game has come, but we also have a long ways to go. If Lacuna Passage is a game that interests you then I hope you continue to follow our progress on this blog or on Twitter. Cheers!